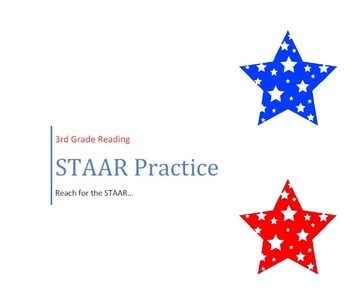 Use this genre based multiple choice test to determine if your third graders are ready for reading STAAR. Genres included are: fiction expository, and poetry. 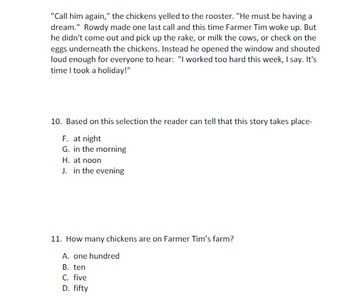 There are 5 selections with multiple choice questions for each passage. A word version and a pdf. of the test, plus the answer key are included in this zip file. Enjoy! 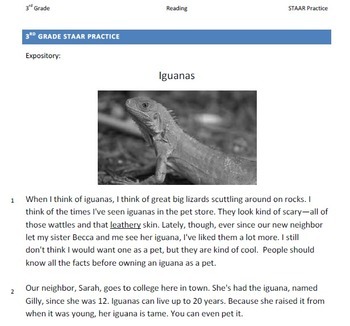 This is my new 2014 version of STAAR practice.